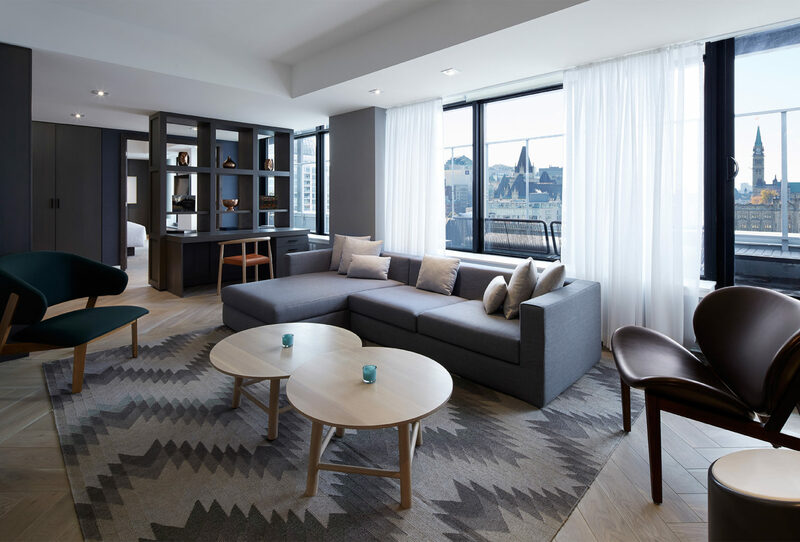 A stay at the sleek and modern Andaz Ottawa means a stay at the heart of one of Canada’s most vibrant and coveted cities, a city where culture, art and adventure are never far away. 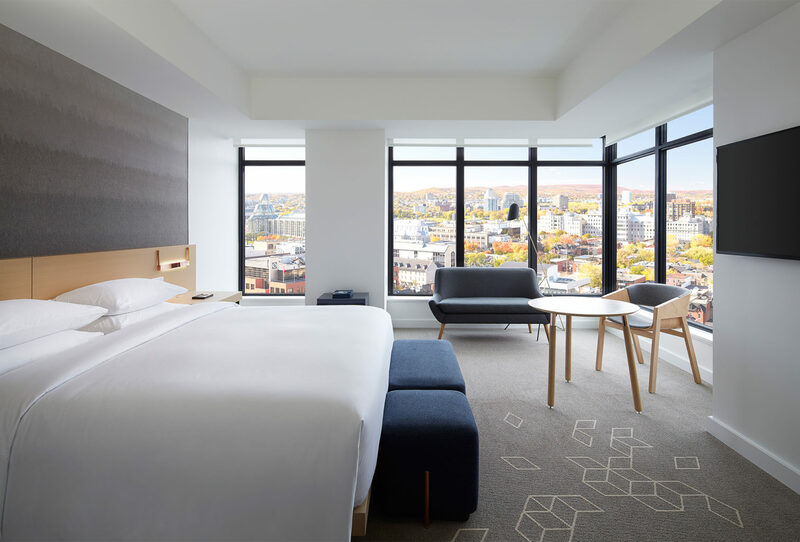 Make the Andaz Hyatt a feature on your luxury, tailor-made holiday to Canada and you will be just steps from the buzzing hub of activity that is Ottawa’s ByWard Market. Here you can browse any number of farmers’ market stalls, craft stores and speciality food shops, sampling delicacies like Canadian cheese and admiring vibrant street art. But that’s not all. You’ll be within walking distance of world-class galleries, natural wonders, casual eateries and sophisticated fine dining, as well as the UNESCO-sponsored Rideau Canal – perfect for picturesque strolls. 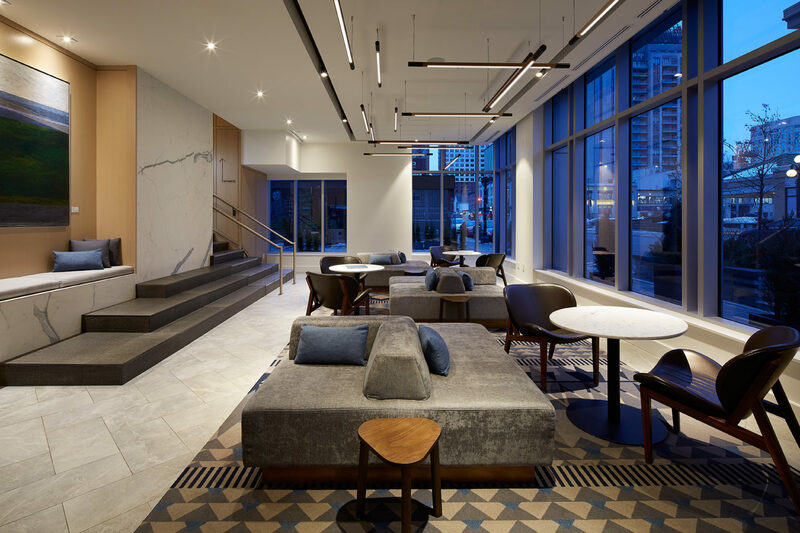 Spread across 16 floors, the hotel offers 200 residential style guestrooms and suites with modern furnishings and local artwork on the walls. 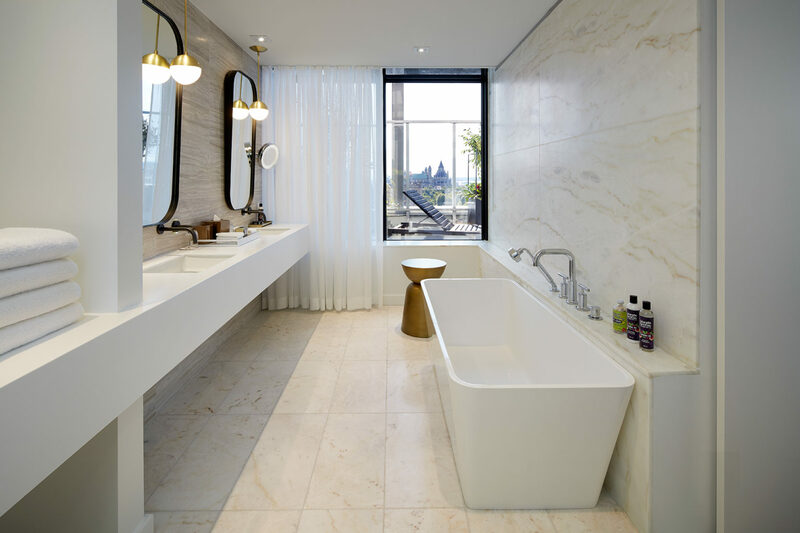 The rooms have a fresh and light feel, and come fitted with luxurious touches including rainfall showers, walk-in closets and 400-thread-count linens. Floor-to-ceiling windows let in plenty of natural light, whilst giving you sweeping views of Ottawa’s historic buildings and Gatineau Hills. 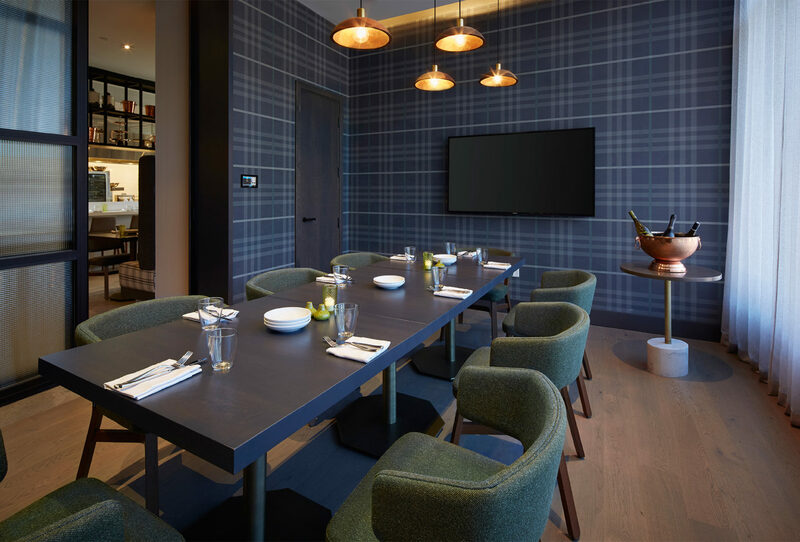 For something extra special, opt for the Presidential Suite which has an outdoor terrace and exclusive entrance.